Apple Watch Primary use for manage call (Make a call or Receive call), Get Reminder from Calendar events, Preview and reply notification, Use Third-party app features and more. In this apple watch has amazing functionality that we can reset and get help to fix different try of sync problem at all. Here I am discussing how to fix Contacts and Calendar sync problem on Apple Watch Series 3, Series 2 and Series 1. Apple watch isn’t updating contact app or Won’t show Calendar Event created in the Calendar app. Your apple watch backup will automatically save with iPhone backup that you take using iTunes or iCloud. And it is restorable at the time or restore your iPhone and apple watch as well. Open Watch App on your iPhone. In General, option, Scroll down to last on iPhone watch app. See Reset > Reset Sync Data. Tap on it to reset Sync Data completely and automatically. Note: We can’t reset Sync Data from Apple Watch using Apple Watch. We can do it via iPhone watch app. 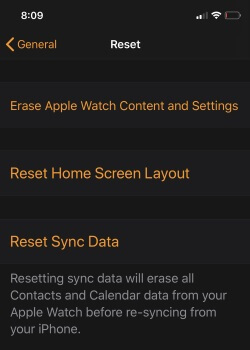 Reset Sync Data option is for: resetting sync data will erase all contacts and Calendar data from your Apple Watch before re-syncing from your iPhone. Press side button once to quickly preview of recently used and open apps on apple watch. From multitasking App screen, slide left on the app to find remove option. 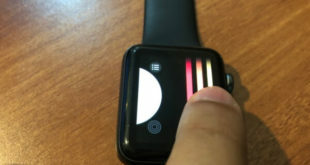 Press and hold Side button + Digital Crown button until you see black screen apple watch. To turn on after force restart: Press side button once. You will apple logo on watch screen. Enter apple watch passcode and see the problem fixed. 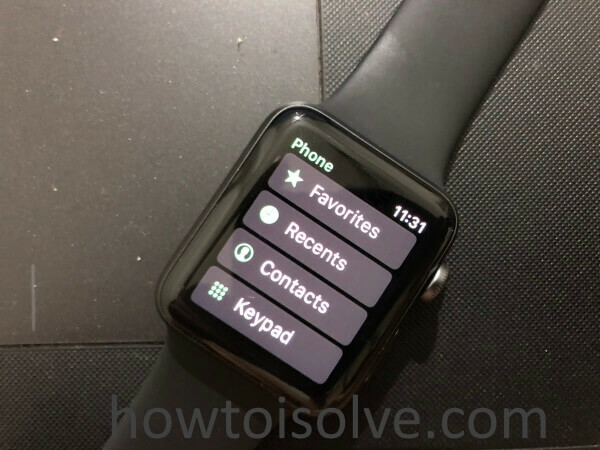 See: Hard reset apple watch tutorial and check Contacts and Calendar sync completely. 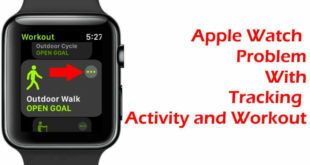 More tips and help on apple watch problem and fixes. Share on the Comment section of this article. Also like and share on Facebook, Twitter or Google+.